We are pleased to announce that Amy Ferber of Bullseye Glass Company will be visiting Master Craftsman Studio. Amy will be providing an interactive demonstration on reactive glasses. 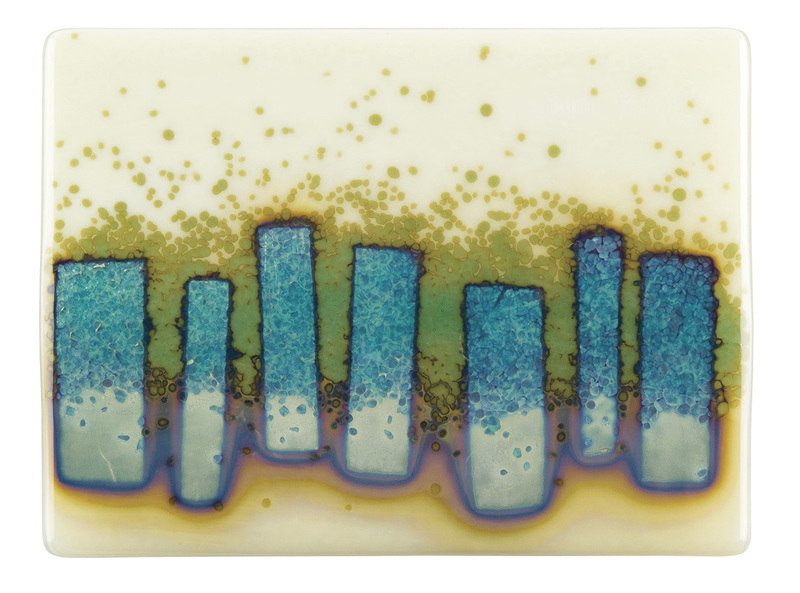 Many effects can be used to enhance your work in fused glass by understanding how some glasses and metals react with each other during the firing process. It’s also sometimes desirable to avoid such effects. Understanding the chemistry will greatly enhance your control over the outcome. We’ve all been surprised when opening the kiln sometimes! Amy will share a video and slide show on the special reactive glasses and how to incorporate these unique effects into your work. We will have the opportunity to see many pre-fused sample tiles showing the range of effects you might add to your glass work. This event is free and open to the public but seating is limited to 35.